Prior to midlife, my skin care routine consisted of a good facial cleanser, sunscreen, and an occasional facial scrub. I was blessed with blemish free even toned skin from the teen years into my thirties. The lack of immediate need together with fair, sensitive skin contributed to a sparse skin care regiment or so I told myself. Truth be told, my overall unsystematic free spirited lifestyle contribute as much. Either way, I never expected aging would be so cruel! That smooth, even skin tone gave way to lines, wrinkles, and an annoying red oily T zone. 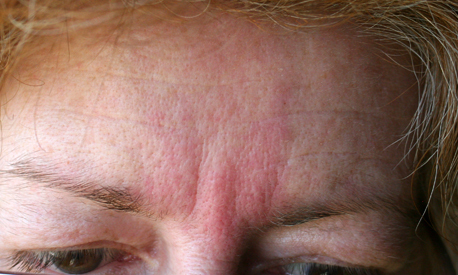 In addition, midlife hormonal changes caused patches of dry, flaking skin. Moreover, all of these changes seemed to happen rapidly, almost overnight. As I recall, a few lines appeared around my eyes and then BOOM, wrinkles, itchy dry patches, and too many blotchy red areas. [sad face] As a result, I jumped when given the opportunity to review Eclos Anti-Aging skin care Kit. Besides my old looking skin, the fact that Eclos is a plant based product line truly excited me. The chemicals, heavy oils, and alcohols found in many facial products aggravate my skin terribly. The Eclos base is derived from Plant Stem Cells extracted from a rare Swiss apple, the Uttwiler Spätlauber. Researchers claim it has a tremendous ability to stimulate skin stem cells, encouraging aging skin to perform like younger skin. Not being accustomed to a regimented skin care routine, I started by using the cleanser and Eclos Anti-Aging Moisture Therapy Regenerative Cream faithfully every day. My skin tone was more even and the annoying patches of dermatitis on the sides of my face had begun to subside. I was impressed and rather giddy over the results. Truth is I was very upset and self-conscious about that midlife hormonal induced dry, flaking skin. WOW, it was resistant. I tripled my water intake and tried about six different moisturizers which no luck. The cleansing power and return of smooth, taut skin in just two weeks amazes me. The scent is comparable to an aromatherapy treatment. Waves of spa worthy scent permeate the senses, so fresh and relaxing. The facial scrub leaves the skin warm and tingly while the restorative facial cream sooths and smoothes. Feeling good about my skin and this newfound skin care regiment has heightened my midlife confidence undeniably. Eclos can be purchased at Walgreens, GNC, Rite Aid, and ULTA Beauty Supply. Even with the terrible photography I can see the difference, can you? Would you like to try Eclos products? Leave a comment telling what product you are most exited to use. One winner will receive the same Eclos Skin Care Kit that I used. Winner will be chosen via Random.org on June 15. Open to US residents only. Good Luck! This looks very interesting. I’m always looking for something natural but haven’t found the ‘it’ product. As a teen I had pretty good skin but as an adult…ah! My forehead is full of experiments. I tried so many products to get rid of the tiny acne that my forehead became wrinkly to extremely dry and now extremely oily!! I started using coconut oil and wrinkles are gone but not the pimples…I think that I will give this product a try, really can’t do more damage to my head and it’s natural so it’s a bonus. Thank you for sharing!! I’m really hoping this will be the ‘it’ product for me!! Thanks for sharing this natural skin care treatment. I am searching right now a natural treatment to rejuvenate my skin and I am so thankful to find this Eclos skin care. Through your awesome explanation of this Eclos, I am encourage to use this one. I will definitely try this Eclos. I love natural remedy and this Eclos is perfect for me. I must say thank you for the information. This treatment is actually what most people are looking for especially the girls.. Anyway, I am just glad you have shared this with us here.. This is a help..
Looks like a great product. Will let my Aunty know about it. 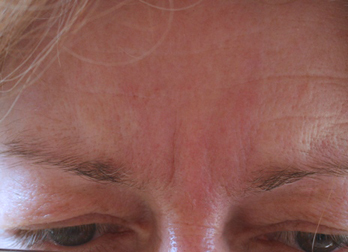 I am searching right now a natural treatment to rejuvenate my skin and I am so thankful to find this Eclos skin care. Thanks for sharing. This product looks very interesting. My friend is recommending this to me but I’m still hesitant to try. I will definitely try this after your review. great post. I would like to try the Cellular Activator Face Serum. It looks like a very good product.